Use the sun’s free energy for all your water pumping needs! 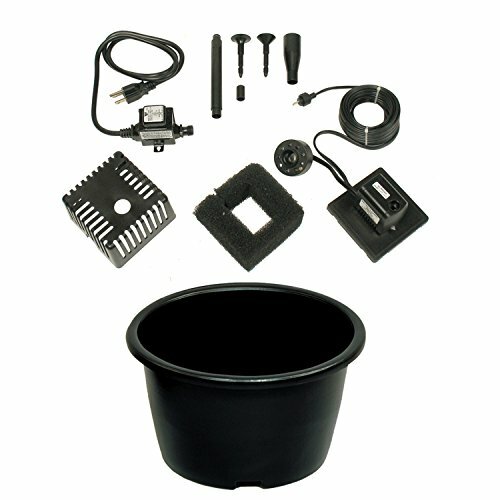 This 12-24 Volt Direct Current pump with included 20 watt solar panel is perfect for DIY solar fountains, pond circulation, water features, hydroponics, aquariums, aquaculture, greenhouses, solar education, garden projects, pools, boating, bilge substitute or any off-grid/remote water pumping applications. Brushless magnetic motor with long life (20,000 hours) and low noise is fully submersible in fresh or salt water. Non toxic for fish or other aquatic life. Bilge pumps are not designed for continuous use and will burn out after 6 months or less if used daily. These magnetic driven pumps can handle running all day everyday. 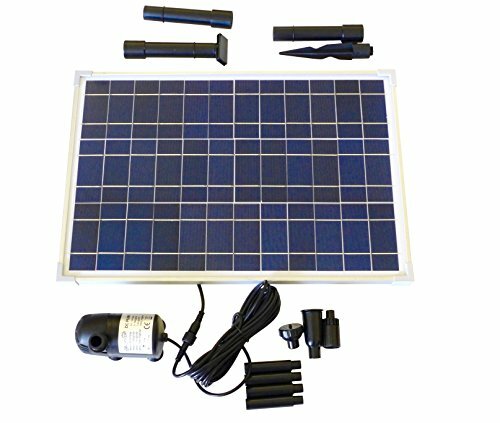 The 20 watt polycrystalline solar panel has a durable aluminum frame and includes a stake. The extra long (16ft) cord allows great flexibilty for placement of pump and panel. No wiring necessary. Just plug in, set in the sun and say goodbye to expensive electric bills forever! 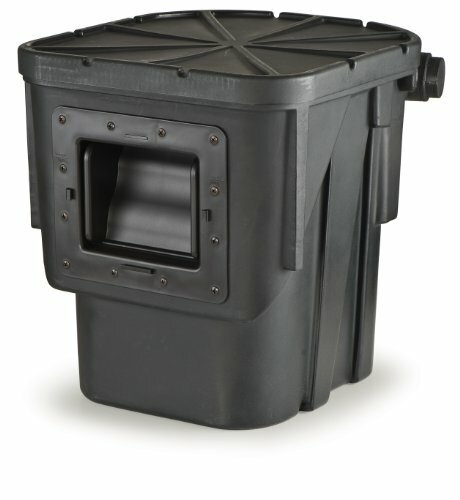 1 Year Warranty – 100% Money Back Guarantee if our pump kit doesn’t meet your water pumping needs!